We deem Vapor4Life worthy of only THREE STARS and DO NOT RECOMMEND it. You may like Vapor4Life products if you enjoy variety in your smoking experience, and don’t mind substandard vapor volume and noisy cartomizers. Their website offers 11 different starter kits. In addition, they advertise an amazing 90 flavors for their cartridge atomizers. We chose the Vapor King Shorty Value Kit with their Tobacco Shop Sampler because we had read on the website that it contained two short, cigarette style batteries, an AC wall charger, a USB adapter, a carrying case and five cartridge atomizers for just $49.95. The flavors of the cartridge atomizers were Hilton, Kant, RY4, 555 and Dunhall. We have never seen such a low price for such a well-equipped starter kit. We ordered the kit on Tuesday, and it arrived on Friday of the same week. That is the quickest delivery time that we have ever encountered. Unfortunately, the Vapor King Shorty Value Kit turned out to be far less impressive than it was punctual. The Vapor4Life cartomizers were not as high quality as we had hoped. They snapped and crackled with each drag. We tried the 555 flavor first. The taste was nothing special and it was not something that we wanted to try again. We were generally disappointed with all of the flavor varieties in the kit. In fact, the RY4 was terrible. Worse than the taste was the volume of vapor that we were able to produce with these cartridge atomizers. They consistently failed to produce anything remarkable and continued to let us down. The whole experience literally left a bad taste in our mouths. The Vapor4Life experience was not entirely negative. The kit did include a free WOW Apple Cinnamon Cranberry cartridge/atomizer. Vapor4Life sells these items in boxes of five for a dollar more than their other cartridge atomizers. The WOW cartridge atomizer in our kit was superior to the others in taste but the vapor volume was equally disappointing. We have no doubt that smokers of all kinds will eventually discover a pleasing Vapor4Life flavor. With 90 varieties it is inevitable that one will please you. However, we feel very strongly that cigarettes should taste like cigarettes. Flavored tobaccos are amusing but we have little use for them. Vapor4Life would do well to concentrate on creating a few classic tobacco flavors that produce significant vapor volume. If they could also fix their crackling cartridge atomizers, their product would fare better with us. They say that you get what you pay for. 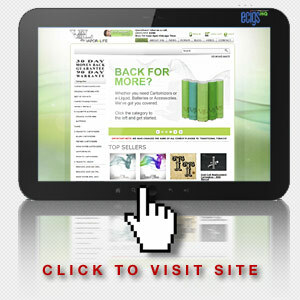 With Vapor4Life, we did not pay much and we got very little in return. 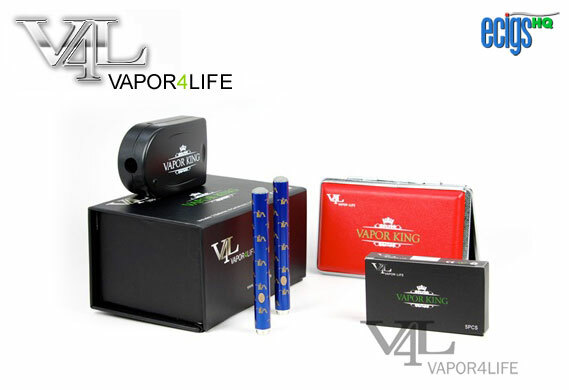 We did notice that Vapor4Life offers automatic and manual batteries in their starter kits. With the manual design, you have to press a button on the side of the battery in order to commence vaporization. In our opinion, this design is not advantageous in any way. An additional moving part just means that there is something else on the device that may break and render it inoperable. Like the three-piece cigarette, we think that this product has a limited and temporary appeal. According to our estimates, the cost of a pack-a-day habit with this Vapor4Life totals $511.20 each year. That annual cost breaks down to $42.60 on a monthly basis and $9.83 on a weekly basis. If you look at these expenses from a daily point of view, they break down to just $1.40. If you smoked regular tobacco cigarettes at the same rate, it would cost you $6 per day or $2,190 annually. Thus, Vapor4Life could save you nearly $1,700 each year. These savings make no mention of the health benefits included when you switch to e-cigarettes. In summary, we determined Vapor4Life to be a substandard value, even after we considered the low-cost kits and cartomizers. First click the “Visit the Official Vapor4Life Website” link below, and enter TOP5 in the coupon code box during checkout to receive a 15% discount on your starter kit order.